Literati-style painting reached peak popularity in Japan in the 1860s and 1870s. Although their works celebrate ideals such as reclusion and amateur art, literati painters like Taniguchi Aizan were actually professional artists active in large urban centers. 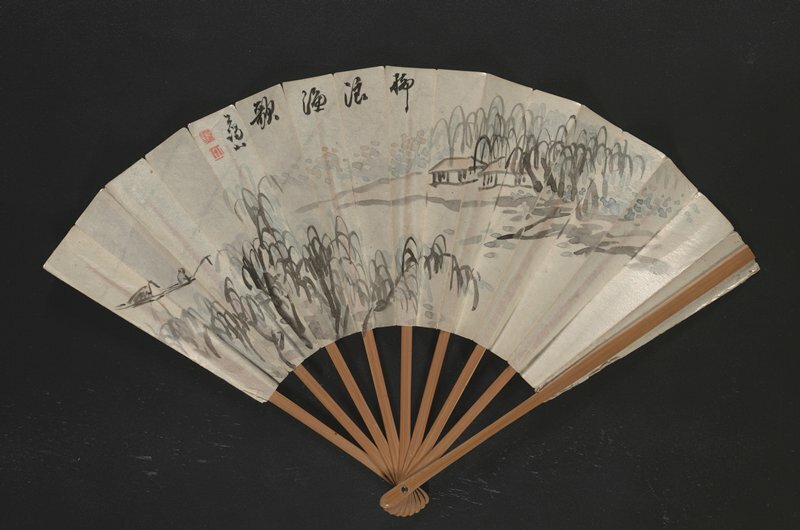 Many made good livings by selling their paintings on folding fans or hanging scrolls and by receiving commissions. For this folding fan, Aizan created an image of a solitary fisherman gliding in a boat between riverbanks lined by willow trees and remote huts. Such a bucolic scene might have appealed to Aizan’s urban clients in Edo (called Tokyo after 1868) and Kyoto.